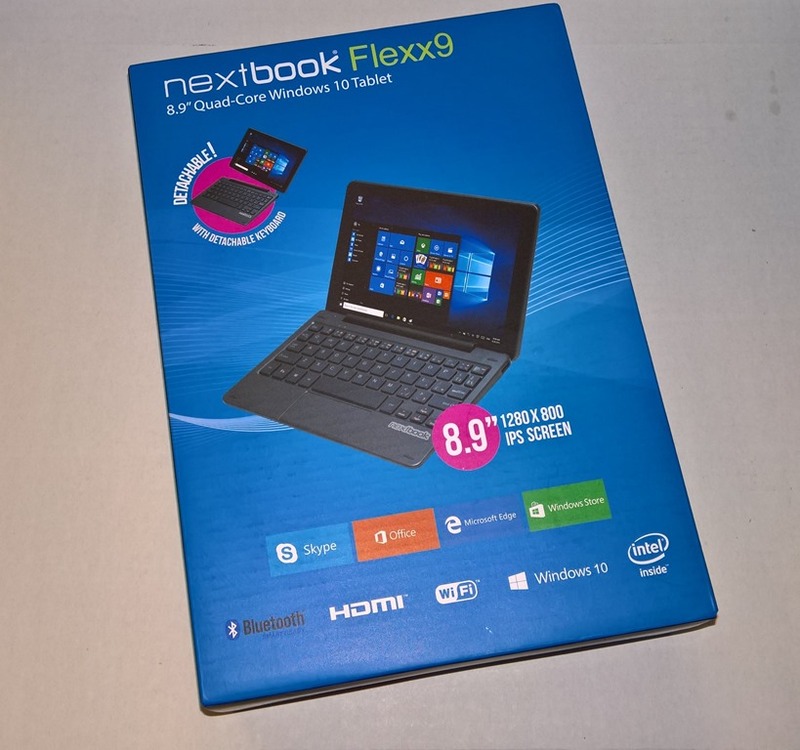 Back in December when I saw the Flexx 9 – 8.9” Windows 10 – 2 in 1 Tablet available at Walmart for $99, I dissed it in our internal email thread, commenting that it was a piece of crap. I was immediately called out for passing judgment without actually giving the device a chance. That got me thinking. So I sold my “better speced” Lenovo Yoga 8 Tablet for $99 at the office and replaced it with the Flexx 9. I honestly didn’t expect much, but wanted to give the manufacturer, E Fun, every opportunity to prove itself. I’m delighted to say it has. I’ve never owned one, but I have had my fill of helping others with; HP, Toshiba and Lenovo low end laptops. With AMD processors that could take an hour for something as simple as a virus scan. Upgrade to Windows 10? Better count on at least a half a day. So I set my expectations low for the Flexx 9, with 1GB or RAM. Although it does have an Intel Atom Quad Core Processor, which apparently makes all the difference in the world. From the start, let’s be clear; the Flexx 9 is not the svelte 8-9” tablet that you have been looking for to replace an iPad Mini for example. Actually, it’s a damn brick. A thick brick. 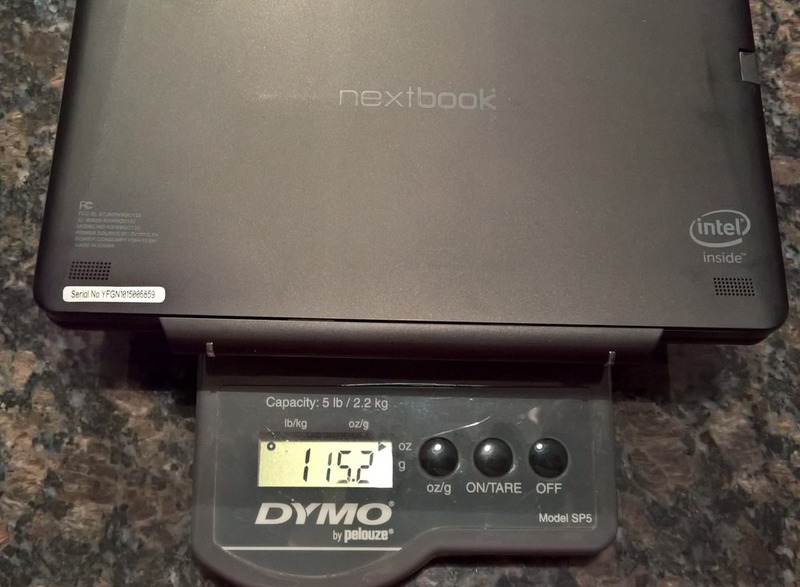 It weighs in at 1/10th of an ounce less than the 10.8” Surface 3 with type cover (1lb-15.2oz vs. 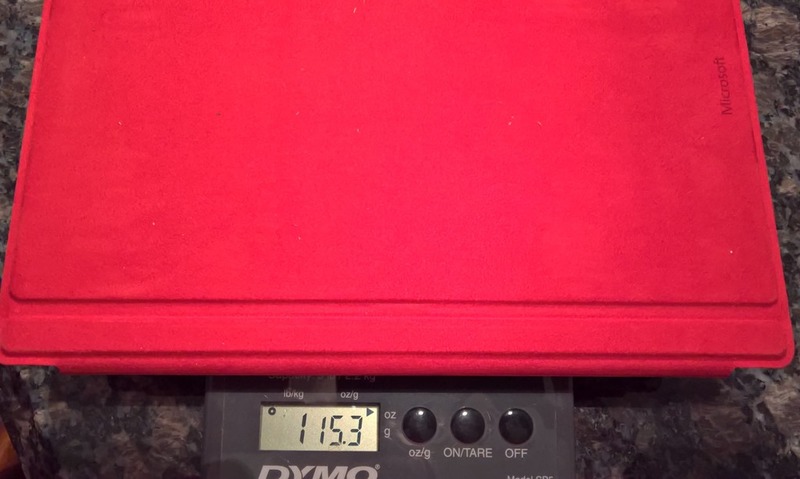 1lb-15.2oz.) and measures a full 0.100” thicker than the Surface 3 at the thin end. A full 0.188” thicker at the thick end (0.657” to 0.745” vs. 0.557’). You will get your exercise pulling the Flexx 9 out of your bag. Fortunately, the size and weight has no impact on performance. One thing I have come to realize with Windows tablets, after owning; three other 8” models, the Surface RT, and now the Surface 3, is that as much as you want to call these consumption devices, they are far from that. As soon as you say the word Windows, the first thing that comes to mind is productivity device. Doesn’t matter if it’s a desktop, laptop, ultrabook, phone, or tablet. You are going to expect to have the ability to get real work done with the device. And to get real work done, you MUST have a real keyboard. 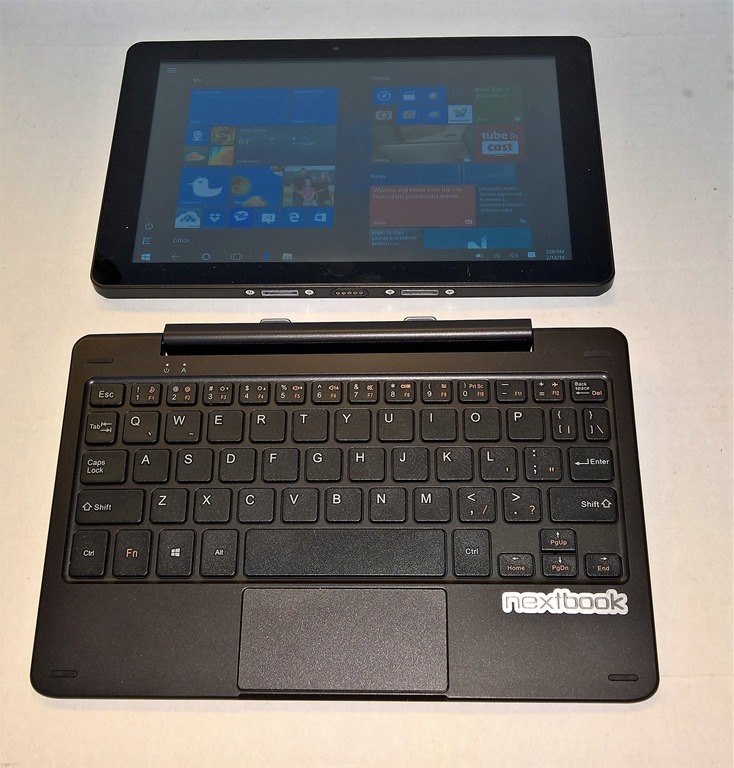 Keyboardless Windows tablets are DOA as far as I’m concerned. 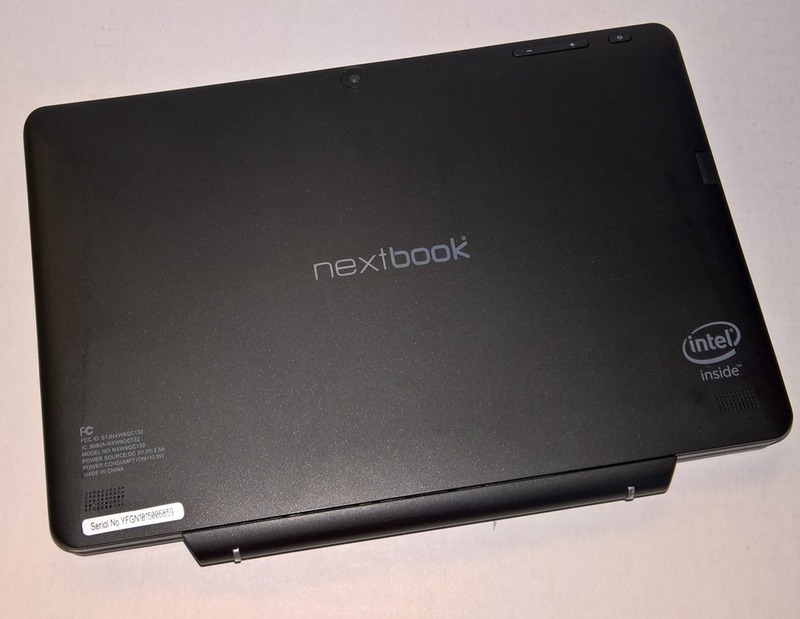 I don’t expect I will own another “naked” Windows tablet, ever. If they don’t come with an attachable keyboard in the box, or as an integrated accessory on day one, I’m not interested. And the recent rise in 2 in 1 tablet/laptop sales (while tablet sales are dropping) proves that out. The fact that the Flexx 9 came with a detachable keyboard intrigued me. Something that wasn’t available, even as an option, for any of my previous three 8” tablets from; Acer, Asus and Lenovo. But all that for $99? I thought, “how could they do it”. I have been using the Flexx 9 for two months and it has yet to disappoint. Despite its 1GB of RAM, I have not experienced any kind of slowdown or freezing while browsing, shopping, checking mail, opening attachments, reading news, watching videos, bouncing in and out of productivity apps. All of the things you would typically do with an 8” tablet. No, I’m not creating 60 slide PowerPoint presentations, or navigating 100 column spreadsheets, or trying to run CAD or render videos. Why would I on such a small device. Actually, my only negative to date has been the lack of a backlit keyboard, especially because of the cramped fifth row of number keys. But that’s primarily because of my weakening eyes. Not really expected on a $99 2 in 1 tablet. Battery life has been better than expected. The sleep and hibernate settings work really well. So I can put my Flexx 9 in my bag with 90% remaining and pull it back out three days later with maybe 77%. Nice to know that I can power on the tablet anytime and get at least an couple hours of good use before needing to charge up. If you’re looking for a knock around 8” (actually almost 9”) tablet that won’t break the bank if it falls out a window (no pun intended) the Flexx 9 may be for you. Perfect device for a deserving tween or young teen. They can play games, watch YouTube, and get their homework done without having to buy any accessories. No idea what E Fun’s Customer Support is like if you encounter a problem (I haven’t), but I’ll share this with you. I always like having two chargers for all my portable devices; one for my bag and one for the house. That way I never forget the essential charger. The Flexx 9 has a pin plug charger with a really odd sized pin. Unlike most all the other E Fun tablets. I tried ordering one from Amazon. but it was the wrong size. So, as suggested by another reviewer, I went to the E Fun site and asked Customer Support where I might “buy” another power pack. They replied, explaining that if I provided my proof of purchase receipt they would send me another charger at no cost. I scanned and forwarded my Walmart receipt as instructed and three weeks later I received a new charger, at no cost to me. That’s not bad support for $99. 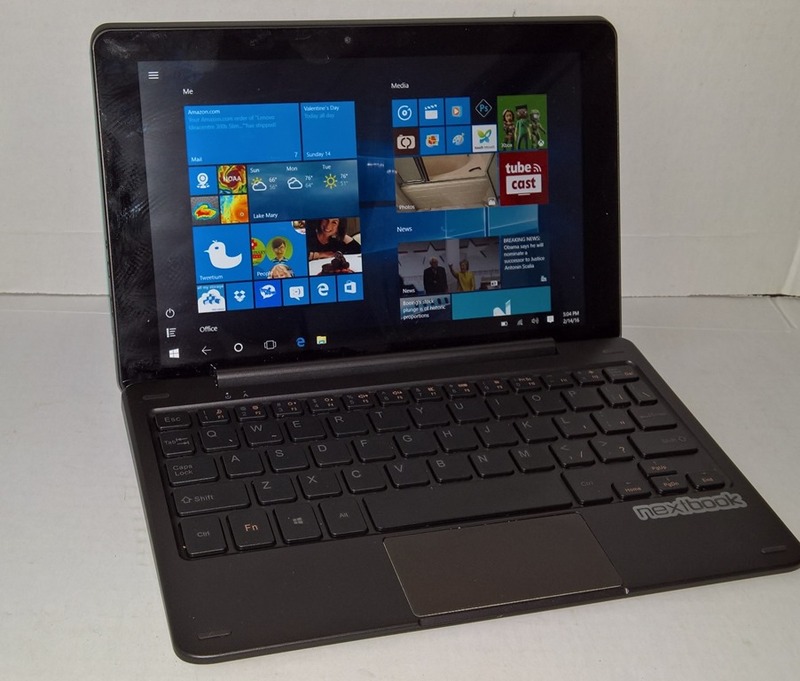 I know you can get alternative devices, like the Acer One 10.1” 2 in 1 Tablet for a few dollars more. The lesson here though is that you shouldn’t be dissuaded by the brand or the price. It’s worth considering. The $99 Windows computer has arrived. It “will” surprise you.